Angeles City Philippines, be careful of the angels in Angeles! 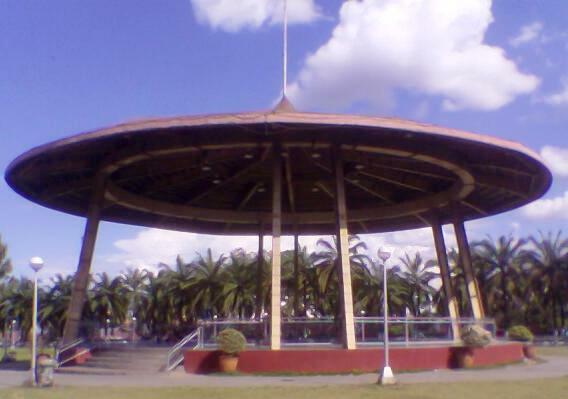 Known as the “City of Angels”, Angeles City is the entertainment capital of northern Luzon. There is a saying that “It is the city where many dreams come true and also where many hearts are broken”. The city has a population of over 310,000 and is located in the province of Pampanga. Though dubbed as the entertainment capital of Luzon, Angeles City Philippines offers more than just bars and nightclubs. It is also famous for its culinary delights. The famous Filipino dish called “Sisig” originated from this province. The city is also host to a wide array of historical sights and has some good shopping. Angeles City first began as a jungle clearing settlement established by the town head of San Fernando, Don Ángel Pantaleón de Miranda and his wife. It was initially called “Culiat” due to the fact that the surrounding area was occupied by vines. Later, in 1829, it became a separate municipality from San Fernando, it was renamed "El Pueblo de los Angeles” (The Town of the Angels) after its patron saint, “Los Santos Angeles de los Custodios" (Holy Guardian Angels) and its founder, Don Ángel. In 1899, it became the seat of the newly independent Philippines government. However, this state of affair didn’t last long, because in August 1899, Angeles city was attacked by the U.S. and the battle for the city was regarded as the longest battle that happened during the Filipino-American war, it raged for 3 months. With the signing of an executive order by President Theodore Roosevelt on September 1st in 1903, Fort Stotsenburg (which later became Clark Air Base) was established in Sapang Bato. The base was the U.S main stronghold in the Philippines until it was attacked and occupied by the Japanese on New Years Day in 1942. Ironically, the base became the Japanese main staging point in this part of the world for the Japanese air operations against the Americans in the pacific theatre. Japanese aircraft from Clark airbase also participated in Battle of Leyte Gulf. The base was recaptured by the Americans in January 1945. When the Philippines gained independence from the Americans on July 4, 1946, the Americans through the Philippine-American Military Bases Agreement of 1947 maintained territorial integrity and sovereignty over the Subic Naval base as well as Clark Air base. Because of the presence of the American bases, Angeles City Philippines became home to many foreigners especially in the entertainment district of Balibago. With the eruption of Mount Pinatubo on June 15, 1991, Angeles city and Clark airbase were badly affected. Due to this, the American bases were handed over to the Philippines government before the end of its official tenure on November 1991. Under President Fidel V. Ramos, the bases were transformed into the Clark Special Economic Zone (CSEZ). The airport was later renamed as Diosdado Macapagal International Airport after the father of then President Gloria Macapagal Arroyo. Today, due to this transformation of Angeles city and Clark, the area has become the hub for aviation, business, industry as well as tourism for Luzon. As mentioned earlier, Angeles City is also rich in history and this should not be missed when touring the city. Below is a list of historical sites found in Angeles City that are worth visiting. If you crave the nightlife, then you will not be disappointed. Fields Avenue, which is the nightlife strip of Angeles City Philippines, is home to over 500 bars and nightclubs and it has survived the closing of the American bases. The area still remains a popular R & R center for many men who enjoy the vibrant nightlife that Angeles City has to offer. Regardless of your age and appearance, as long as you have plenty of “Uncle Sam” in your pocket to dish out, you will never be wanting for lack of company with young attractive girls. The place is a drunken heaven 7 days a week and some bars are even open 24 hours a day. You will not have any problem communicating with anybody as English is widely spoken here. Note: Angeles is not everyone's cup of tea, if you crave the beaches and the beautiful warm water, then Angeles will not be for you. Angeles is inland and is a good 1 1/2 hours from the coast. It does have it's place as the entertainment capital of Northern Luzon, but for mind I would prefer to sip a cold San Miguel watching the ocean and paradise. Each to there own! Angeles City Philippines is very easy to get to. By road from Manila it takes roughly two hours, but like everything in the Philippines, traffic and weather can blow out the travel times. For more information on getting to Angeles City have a look here. There is a huge range of accommodation in Angeles City, ranging from one bedroom basic rooms to luxury resorts. It all depends on what your preference or budget is. Needless to say there is an option for you in Angeles City Philippines. For more information on Accommodation have a look here. What Do You Think of Angeles City? Did you have a great time or were you disappointed? What did you like, what could you have done without? Would you visit again? Tell others about your trip. Show off your photos!